POST /data/ to add a new item to the data. The request body contains the new JSON-encoded item. PUT /data/345 to change the item with id=345. The request body contains the updated JSON-encoded item. Setting up RESTful routing in ZendFramework can be done by adding an instance of Zend_Rest_Route to the FrontController’s router. To do this, we add an _init-method to our Bootstrap class. We will also have to disable Zend’s view renderer, as to only output JSON encoded data. Alternatively, you could output your data to the view object and automatically JSON-encode it using the ContextSwitch action helper. After setting up the general REST structure, it’s just a matter of filling in the blanks. Starting with the simplest, the getAction(), we’ll just extract the requested ID and ask our model for an object matching that ID, and then use the JSON helper to automatically encode and send it to the client. The postAction() will have to de-serialize the new object and tell the model to store it. Before returning the newly created object we must set the HTTP response code to ”201 Created” and tell the client where the object can be found, using the ”Location” HTTP header. The putAction() must ensure that we’ve supplied both an id AS WELL AS the new properties of the object we want to change. Then we’ll tell the model to update the storage. The deleteAction() only needs the ID of the object we want to delete. Upon a successful delete, we must set a ”204 No Content” HTTP status code. Finally, the indexAction() should return all – or a filtered selection – of the items in the collection. Note how the JsonRest object store utilizes the ”Range” HTTP header to identify the subset of items it wants. If you want to support this header-based paging, you must also send an HTTP response header with information on how many items there are in the collection. What should Application_Model_Item look like? This obviously depends on how you want to store the data. The code snippet below illustrates what a simple SQL-backed model could look like. Given that you’ve configured the default database adapter – and of course also set up your database – you should now have a working RESTful server, capable of serving a JsonRest object store. You can verify your setup by pointing your browser to the same URL you’d point the object store to. For extensive testing of all the different HTTP methods, RESTClient (Firefox) and Simple REST client (Chrome) are two great open source tools at your disposal. Better handling of missing objects (404s). Richer support of queries in the indexAction() for sorting and filtering items. In case you’re feeding a dijit.Tree, consider supporting the deferItemLoadingUntilExpand property to ensure efficient lazy loading. You might also want to take a look at Kitson Kelly’s RESTful service tutorial on DojoCampus. While it is still work-in-progress, it goes into more detail on the underlying principles than we do here. Excellent post, exactly what I was looking for! Could you give an example how to do this in this tutorial? to the application.ini and updated the table name in the Item.php to an existing table in the blog datbase with an id field, but all my calls get 500 server errors. 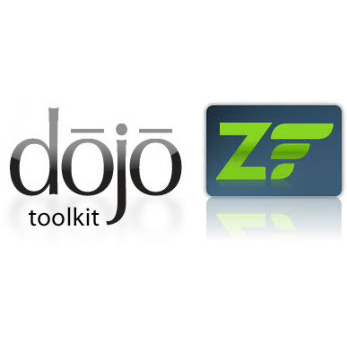 Is your Zend project setup correctly, i.e. can you see the default landing site? I could get the default landing site to show up ok so it seemed setup correctly in that respect. I will add the SetEnv APPLICATION_ENV development parameter and run again. Thank you for this post, it help me a lot. Do you have any idea ? thank you in advance.. Try removing the ’controller’ suffix.